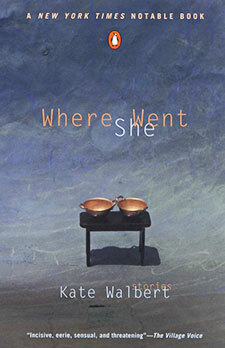 The linked stories in Where She Went examine the very contemporary predicament of families without geographic roots. The first half of the book chronicles Marion Clark, a “company wife”, who repeatedly packs the household and accompanies her husband around the globe with a “melancholy view before her of what seemed like endless houses with endless garages and endless kitchen windows.” In the stories that follow, her adult daughter, Rebecca, dutifully attempts to fulfill her mother’s thwarted aspirations, yet hers is a world viewed with a slightly off-kilter eye, one that invokes Michelangelo in the Sistine Chapel, Mohammad’s faithful followers at Topkapi Palace, as well as the landscapes of Italy and Jamaica, Istanbul and Paris. Ironically, if Marion had no free will, Rebecca has an excess. This mother and daughter, each uniquely of her own generation, remain locked, firmly, in longing.